A recently invented technology allows the creation of polymers/plastics that inhibit a biocompatible solution to provide a highly effective antibacterial property. The technology offers a safe and non-toxic alternative to the presently available solutions such as nano-silver or triclosan. The effectiveness can reach as high as 98-99% after 24 hours following the ISO 22196 testing guidelines and works effectively against Staphylococcus Aureus, Escherichia Coli, MRSA and Clostridium Difficile. Unlike presently available solutions the technology offered by Dutch firm Parx Plastics causes bacteria to lyse and die as it is exclusively targeting bacteria cells. Human cells are untouched. The incorporated technology is not cytotoxic and is fully safe in contact with humans and nature. Furthermore, the technology is suitable for plastics that come in contact with foodstuff or materials for other regulated applications, as it presents no increased migration and it uses only allowed substances. US resins firm Eastman Chemical’s BPA-free copolyester Tritan EX401 is one of the first materials proving a successful incorporation of the antibacterial property with results of 98.7% for Gram- and 98% for Gram+ bacteria. This material is targeted at infant care products and now can, with the aid of the new technology, incorporate an antibacterial property, which opens up a new array of possibilities for companies in this field. Netherlands-headquartered Parx Plastics was founded in 2012 by Michele Fiori and Michael van der Jagt to explore the possibilities of the invention to create antibacterial plastic and the market for Sanipolymers. The company has now started to approach the market initiating projects in cooperation with interested parties to implement and commercialise the technology. 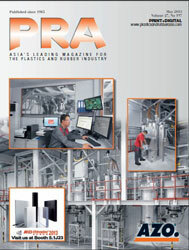 Parx Plastics has a laboratory and production in Italy. 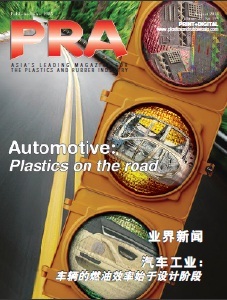 Ningbo Parx Plastics Tech in China is representing the company for the Asian market.